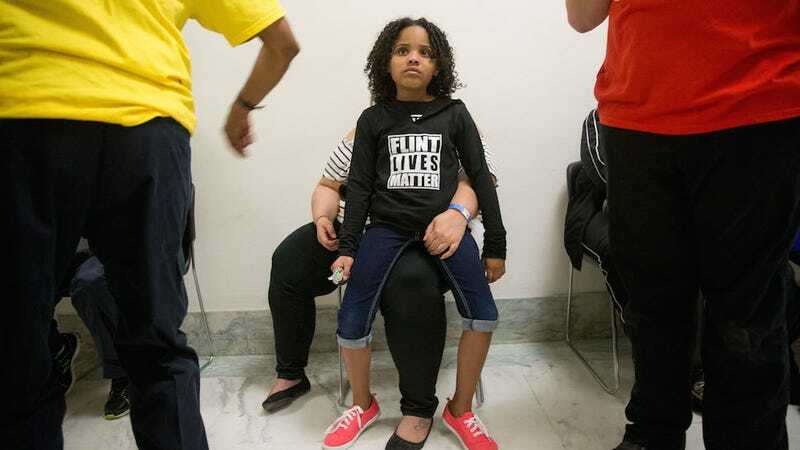 President Obama will make his long-awaited visit to Flint, Michigan to discuss the community’s water crisis next week, following a request from 8-year-old activist Mari Copeny, a.k.a Little Miss Flint. Thank you for writing to me. You’re right that Presidents are often busy, but the truth is, in America, there is no more important title than citizen. And I am so proud of you for using your voice to speak out on behalf of the children of Flint. Many people in Flint were disappointed when Obama did not visit the city when he attended the Detroit Auto Show, which is barely an hour away, in January. Brezzell said in addition to being proud of her daughter, she hopes the president’s upcoming visit can begin to heal the anger and distrust of government that are so prevalent in the beleaguered city. On April 20, prosecutors announced plans to indict multiple Michigan government officials on misdemeanor and felony charges for their roles in Flint’s water contamination.